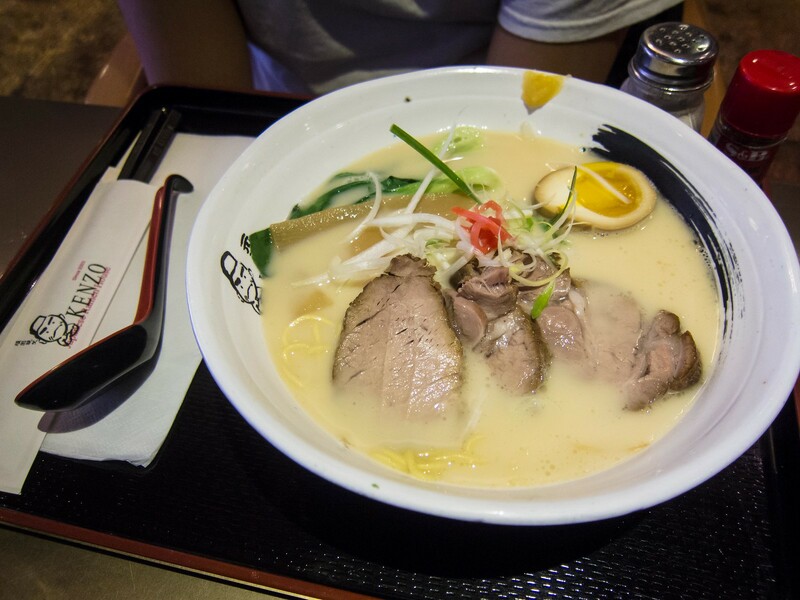 Kenzo was one of the very first ramen restaurants to open in Toronto back in 2009 with their Dundas location. 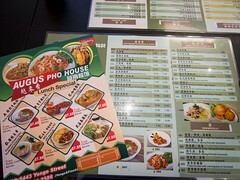 Today, they have 4 locations throughout Toronto and even one in Mississauga and Waterloo. 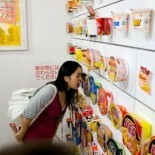 Their noodles are made in house with machines from Japan and the owners have dreams of opening a noodle factory in Ontario. 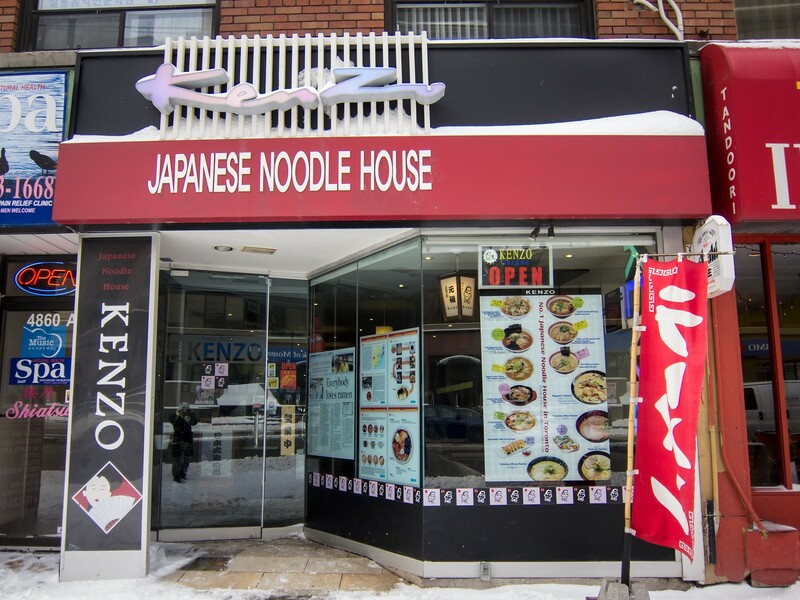 Atmosphere: I stop by Kenzo’s North York location fairly regularly to fulfill my ramen cravings. The dining space is open and accommodates large groups comfortably. 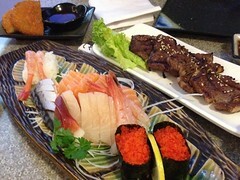 It can get busy during dinner time but turnover at tables are quick and wait times are short. Service: Every visit for me, the service has been quick and efficient. 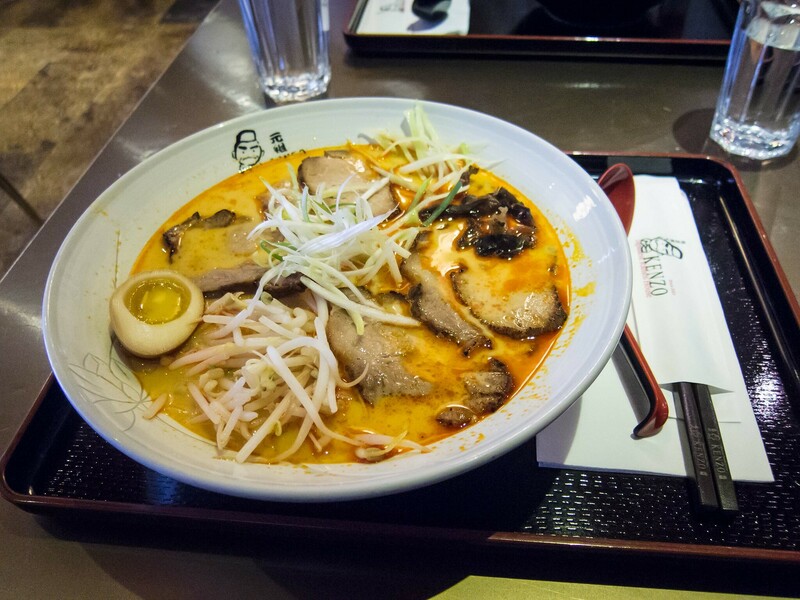 Bowls of ramen arrive on trays with utensils and napkins laid out. Our gyoza order came out after we were half way done our ramen bowls, which was a bit of odd timing. Food: As we sat down at our table, the BF noticed a poster behind me advertising a new “Spicy Chashu” ramen bowl with three levels of spiciness. The third level had been deemed unavailable as it was too spicy. I ordered a bowl of level one spice and crossed my fingers. The BF went with the classic Tonkotsu bowl and we split a plate of gyoza. 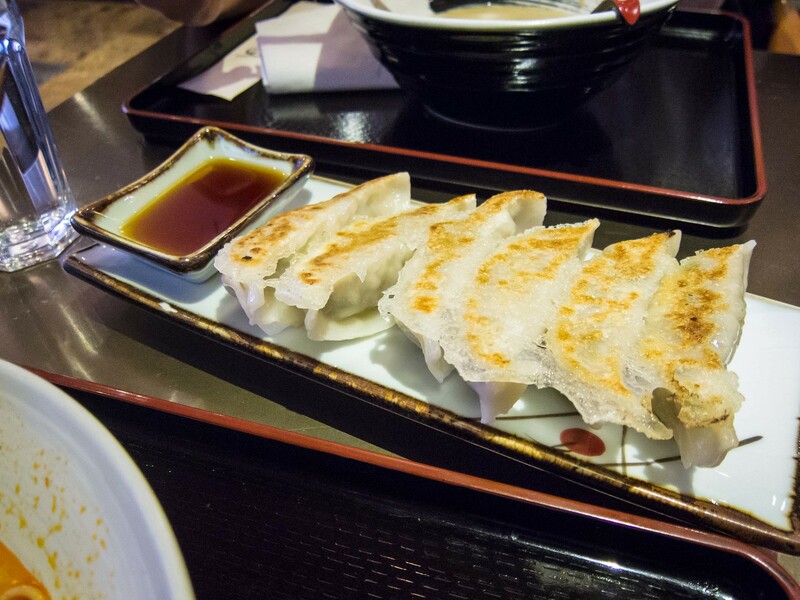 The gyoza arrived piping hot with a nice crispy bottom, thin wrappers and a savoury pork and cabbage filling. This was really a spicy bowl of soup. Many of my tastebuds have been burnt dull from my mom’s cooking and even they were well woken up by the broth that was on par with the Armageddon wings at Duff’s. 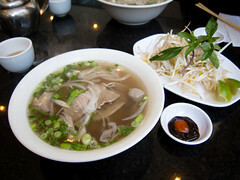 Despite the spiciness though, you could still taste the savoury pork broth underneath and it wasn’t just a burning sensation. I really enjoyed the bowl and by the end was happily sipping the soup much to the BF’s astonishment. I did have to take sips of the BF’s Tonkotsu broth in between spoonfuls of my own to give my taste buds a break at first. If you like spice, this was a great bowl and I liked that Kenzo didn’t shy away from the heat. The noodles had a nice consistency and the toppings were generous. 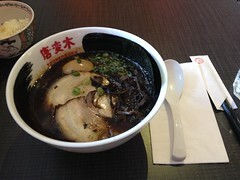 Toronto Ramen, Who’s the Best?